I pinned these ideas to my Crafts - Paper board, but it's certainly not a new idea to reuse old Christmas cards. 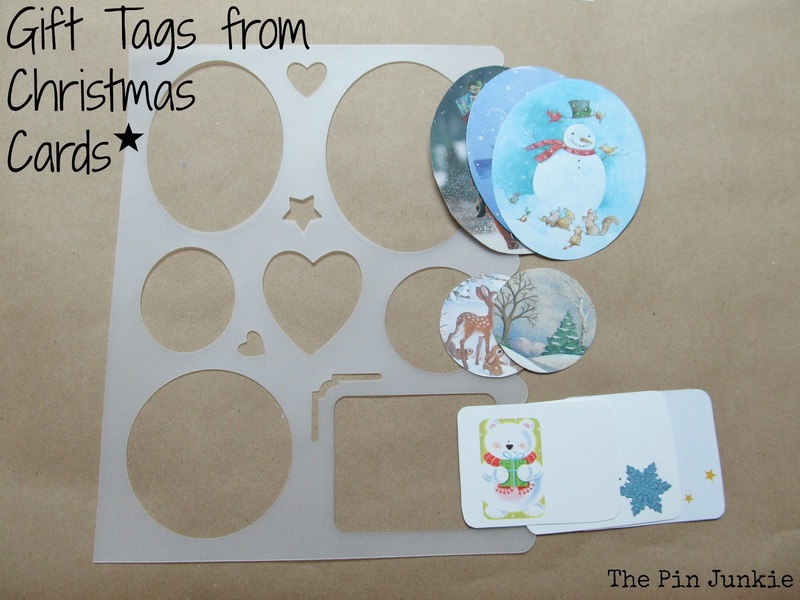 You can make gift tags and mason jar toppers. Save your old Christmas cards. You'll need a pencil, scissors and templates. I used these plastic templates. Use a pencil to trace the shape on the card and cut it out. It doesn't take long and soon you'll have lots of gift tags. You can use them on packages and gift bags. 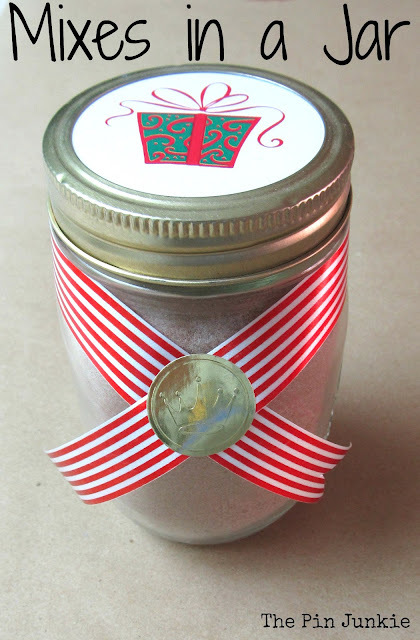 You can also use old cards to make decorative mason jar toppers. Mixes in a jar make a great gift and there are many ideas out there. Do a quick search for "gifts in a jar" or "mixes in a jar" and you'll see what I mean. Any dry ingredients for baked goods like cookies or brownies would work. Mix all ingredients in a large bowl. Use a funnel to pour mix into mason jars. Ta-da! You have gifts for everyone on your list. 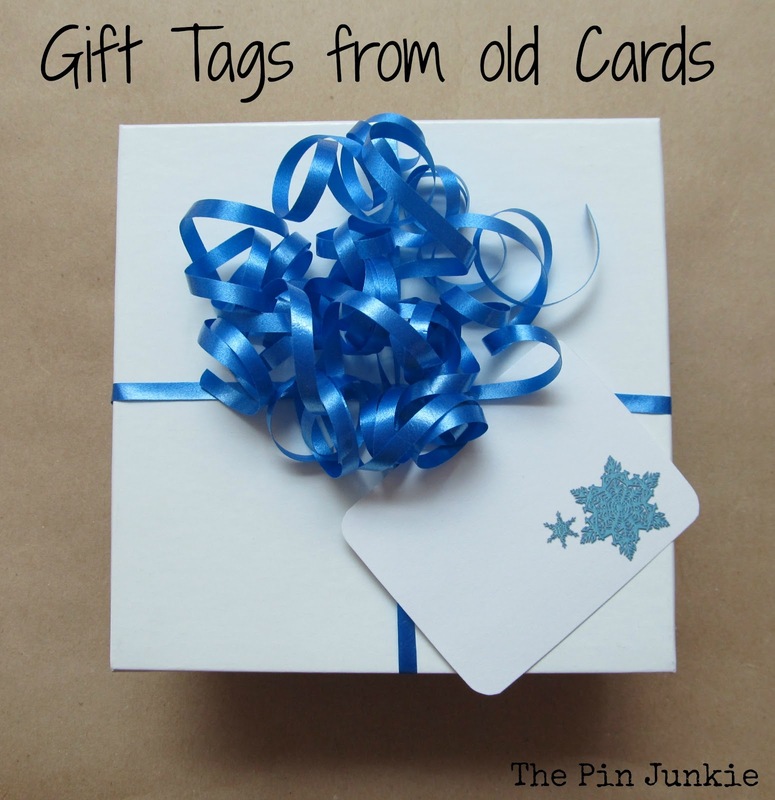 I love the idea of making gift tags out of old cards, very creative! Visiting from An Aloha Affair blog hop. I'm following you via GFC and Pinterest. OMG!!!! I have never thought about doing that to my old Christmas cards! What a fantastic idea!! I love it. I just save them away and nothing happens to them. I should totally recycle!! thanks for sharin!! :) I'm excited now. New follower from the aloha blog hop! so nice to meet you! Would love if you swung by!